As specialist website designers and developers for the estate agency sector, we offer two distinct website products. Firstly, we offer a very sophisticated template framework style website product, click here for full details. Secondly, we offer a fully bespoke design website product. The bespoke website design product offers site design with complete flexibility and no real limit in terms of creative design. These sites are designed from the ground up, where no template framework or predefined design assets are required. This means that clients can define the exact design specification required for their website without compromise. Is a bespoke design website right for me? If you're asking this question you probably don't need one. Although there are an increasing number of tech savvy estate agents that understand the benefits of having the very best local presence for their web and will therefore opt for the bespoke website option. Competition is fierce and having a website that truly stands out from the crowd, that’s highly ranked within Google, offers the very best user experience and is designed specifically to the agents own specification is a must have for the more technically astute estate agents. Having specialised in developing and building technology for the estate agency sector for more 30 years, we have a wealth experience of tried and tested (see out about page for detail), that the real benefit of using a website design company that are specialists in the estate agency sector is that not only do you get a website that is designed to your exact specification but all of the work involved in creating the functionality required for all property based websites (i.e. the property search mechanism, email alert function, data feed systems, Search Engine Optimisation, estate agency Content Management System, integrated Google mapping and street view API, integrated blog, etc, etc) will have already been developed. The development of this componentised technical infrastructure means that these functional elements can be plugged into any bespoke site and as this functionality already exists the cost is a fraction of what it would be if it had to be built from scratch. 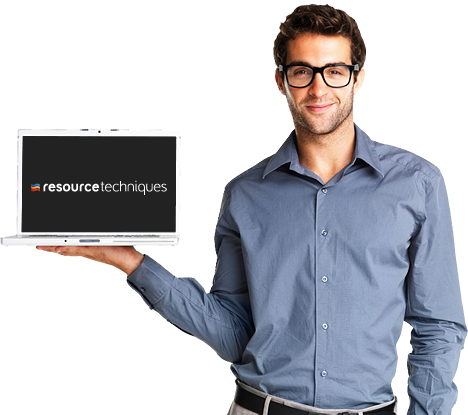 At Resource Techniques we pride ourselves on connecting our clients to their audience via award winning websites. Our bespoke website design service offers fully custom built websites for estate agents that are totally focused on your business needs and the exacting requirements of the tech savvy estate agent. Our bespoke websites will offer your customers the best user-experience possible. Only specialist web designers with the experience and technology developed for the real estate sector can provide you with the functionality, features and usability at affordable prices. Our bespoke websites are tailor made to our clients needs, ensuring that not only are our websites built with integrated SEO in the design, but we also have specialist SEO consultants personally nurture your website's search engine rankings enabling you to be easily found. Contact our webdesign team!Visit our website portfolio!